Marketing Opportunity: Show Us Your (Home) Makeover! Reserve your spot in the March edition Home Makeovers: House + Home Roundtable today! The days of winter are starting to dwindle and before you know it, spring will be in the air. Spring – that glorious time of year when the days get longer, the weather is perfect and you’re suddenly inspired to clean and organize every square inch of your home. Some of our readers will take this annual Spring Cleaning ritual to new heights this year and seek out a team of experts to get their homes in tip-top shape. 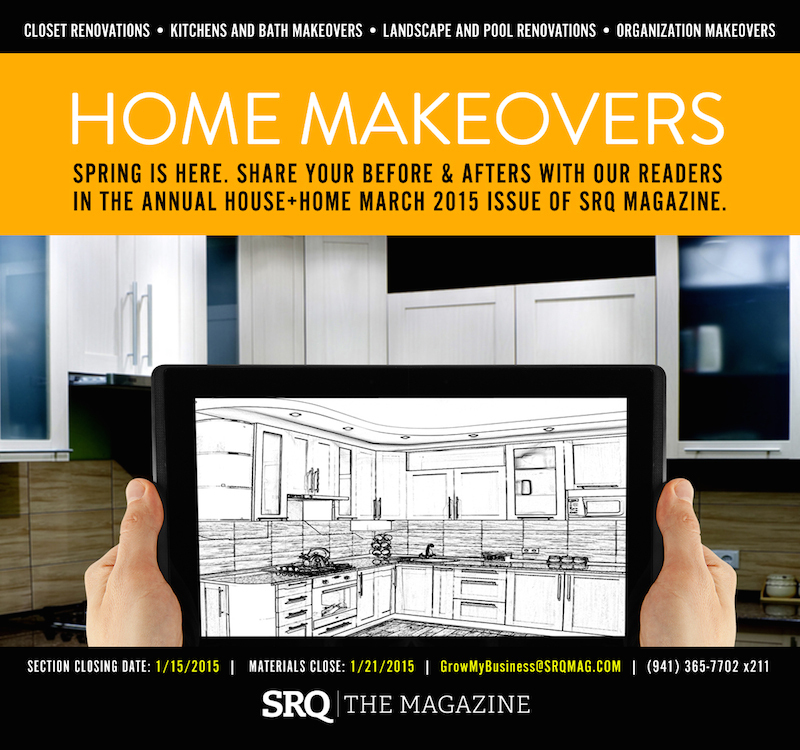 Seize the season this spring and join forces with SRQ to get the word out on your company’s most inspiring home makeovers! From boosting curb appeal to stately additions to interior refreshes, the March issue is the right time to show your best before-and-afters. Featuring the winners of the Annual Home of the Year Awards, this edition is a local authority of home improvement, architectural beauty and notable interior design (not to mention a mainstay on our readers’ coffee tables for months to come)! Space closes soon, so contact a member of our team today at GrowMyBusiness@srqmag.com.